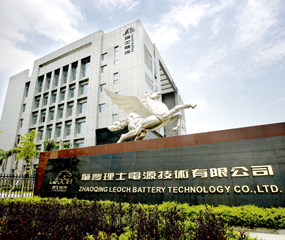 April 11, 2019: Chinese battery maker Leoch International expects to begin operation and delivery of lead acid batteries from its two Vietnam manufacturing plants in the second half of this year, the company told BESB this week. Investor relations director Joyce Lam said the two factories would more than double the company’s total overseas production capacity as it looks to further its business expansion in abroad. “With the new plants, we will be able to offer our overseas customers the most cost-effective battery solutions by eliminating market uncertainties such as trade barriers and fluctuations of raw material prices in the PRC. Stricter regulations and higher labour costs have caused a trend of Chinese companies opening manufacturing facilities in its neighbouring Asian countries in recent years, although in December Leoch started construction of a 4GWh lithium battery plant in Anhui, China ‘in view of increasing demand for lithium battery applications’. The plant should start operation by the last quarter of 2019. In recent years the company has expanded its reach into Europe, with the addition of DBS Leoch (formed this January from a restructuring of DBS Energy) in the UK, Leoch Nordeuropa in Germany, Leoch Italia and Leoch France.